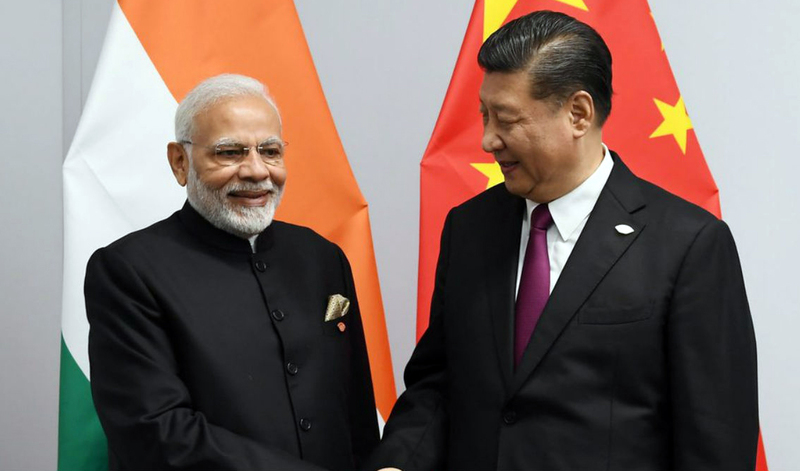 (TibetanReview.net, Dec02, 2018) – China and India agreed to increase mutual trust and bring their bilateral ties to a higher level following a meeting between President Xi Jinping and Prime Minister Narendra Modi on the sidelines of the G20 summit held in the Argentine city of Buenos Aires on Nov 30, reported China’s official Xinhua news agency Nov 30. Besides, the two sides are to hold a joint military drill in China later this month while a Russia-India-China trilateral summit was held for the first time after a gap of 12 years. The Xinhua report cited Xi as saying China-India relations had seen an increasingly positive momentum, which not only brings growth impetus for the two countries but also injects stability and certainty into the global system at a time of profound changes. Indian media reports also said the Indian Army and Chinese PLA will hold a 14-day hand-to-hand drill from Dec 10 to 24 in Chengdu, capital of Sichuan Province, China. Each side will send 100 troops to take part in the military exercise, the 7th joint drill between the two Asian rivals, reported newsd.in Nov 30. In this connection, India’s Defence Secretary Sanjay Mitra and China’s Deputy Chief of Joint Staff Department of Central Military Commission Lt Gen Shao Yuanming were stated to have held talks in Beijing on Nov 13 on issues related to military ties, border control as well as regional and international issues. It was also pointed out that just last week, India’s National Security Advisor Ajit Doval had visited Beijing to hold talks with China’s State Councillor and Foreign Minister Wang Yi on the border dispute between the two countries. The credit for these developments was given to the informal summit between Xi and Modi in Apr 2018 in the Chinese city of Wuhan. Besides, the visit to India by Chinese Defence Minister Gen Wei Fenghe over Aug 21-24 was stated to have injected freshness in the otherwise tenuous relations between the two countries. The agreement to hold the joint military exercise was stated to have been reached during that visit. Apart from that, Deputy Commander of Chinese PLA’s Western Theatre Command Lt Gen Liu Xiaowu had visited India in the first week of July while the Commander of the Indian Army’s crucial Eastern Command, which guards the 3,488 km-long Sino-India border, Lt Gen Abhay Krishna, visited China from Aug 15 to 19. It was also reported by India’s PTI news agency Dec 1 that Modi, Xi and Russian President Vladimir Putin held a trilateral meeting on the sidelines of the G-20 summit in Buenos Aires after a gap of 12 years to discuss cooperation in various areas. India’s External Affairs Ministry spokesperson Raveesh Kumar was cited as saying on Twitter that the 2nd RIC summit was characterised by warmth and positivity, with the leaders discussing cooperation and coordination in various areas “which could contribute to global peace and stability”. The report cited Modi and Xi as concurring at their Buenos Aires meeting that there had been a perceptible improvement in bilateral relations, even as they looked to build on a thaw in ties after a standoff on the Doklam border last year which lasted 73 days.